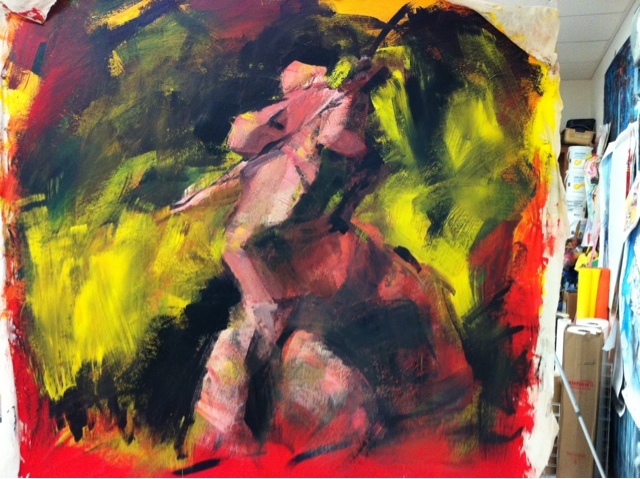 Recent painting dealing with with the figure and space. 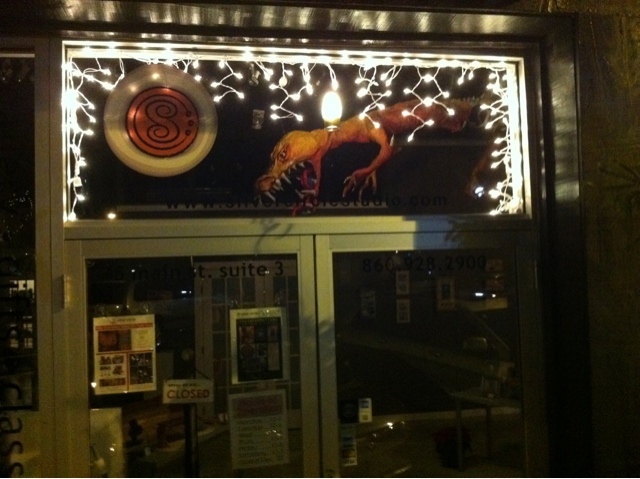 My dragon from outside the gallery. 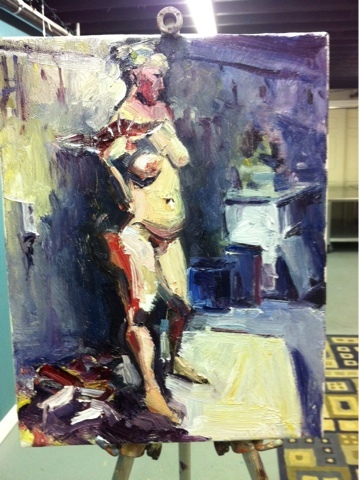 11x14, oil on canvas, 1,5 hrs. 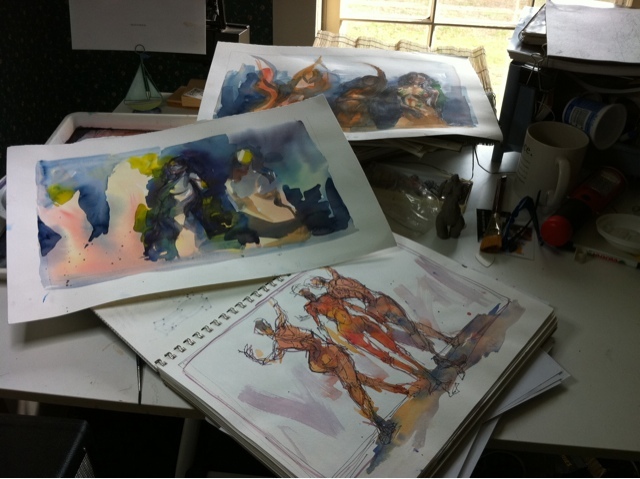 Sitting at my drawing table with my sketchbook and watercolors trying to sort out my ideas and figure out what I want to say with this show. Frustration in studio today! 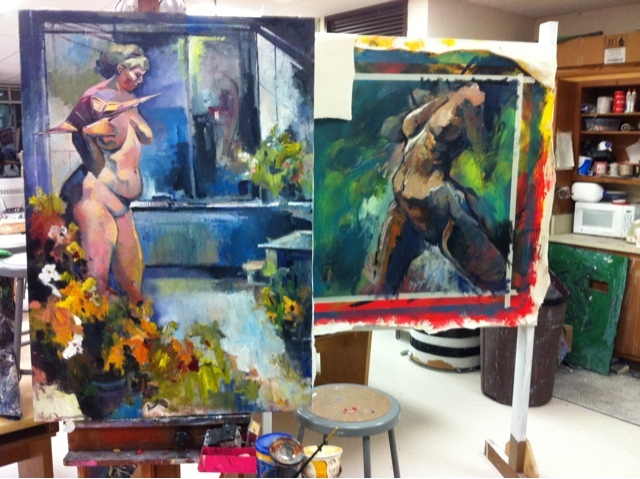 Instead of improving them, I killed off two paintings. Next, I accidentally bumped into my turret where my paint medium sitting. The bottle fell over and broke causing the oil to ooze all over the floor. After clean up, i tried to get back to painting but I instead knocked my steaming hot coffee all over the floor. Another clean up session. Decided to go home and drink wine at this point! 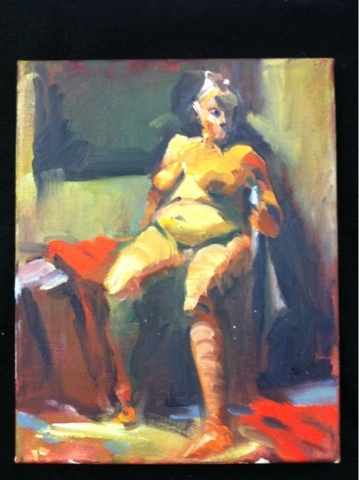 Seated figure in oil, 8x10 on canvas. Approximately 1.5 hrs to complete. 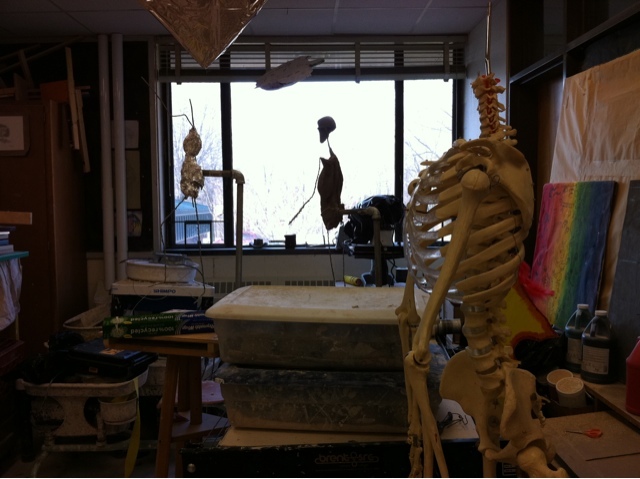 A glimpse at my impromptu anatomy lab (a little corner in the classroom). I am making plasticine figures to use as reference models for paintings I am completing for a figurative show coming up in January. I have recently discovered the British artist Emma Rodgers and her ceramic figures. 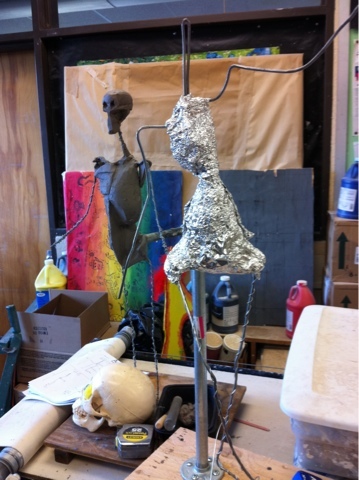 I love the sense of movement and wonderful texture she gets with her pieces. This is something I have been after for quite a while in my work. Here is a pretty sad response to this discovery, but at least it's a start. 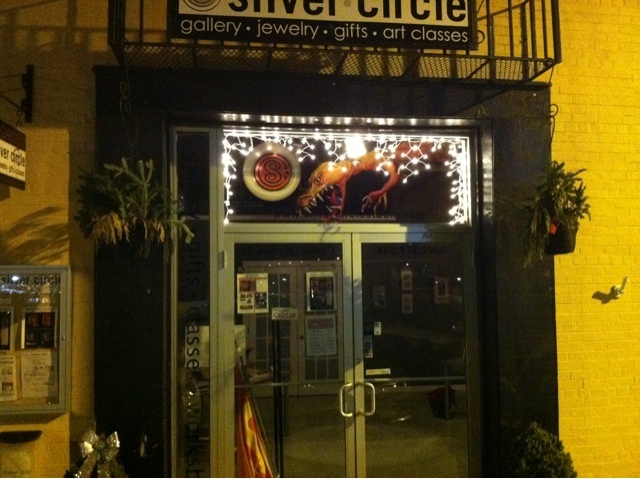 This is me at the gallery opening for the "Trashformations" show at the Silver Circle Studio. 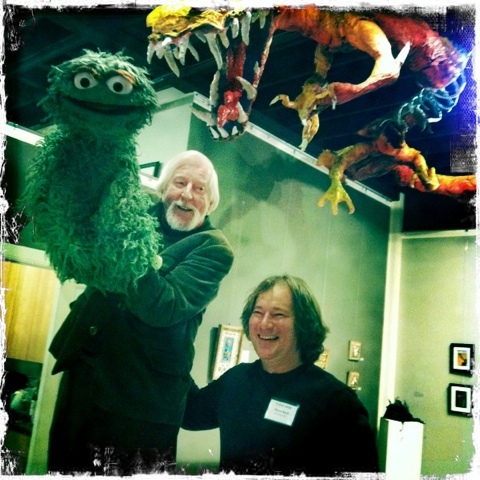 I am with non-other than Carroll Spinney who played Big Bird on Sesame Street and his original Oscar the Grouch puppet! Behind us is my dragon hanging for the ceiling.